Women entrepreneurs are kicking a*$ in the business world at the moment. With more than 9.1 million women-owned businesses in the U.S., these amazing female entrepreneurs are pushing forward and building a stronger presence than we have ever seen before. But who are these super women making such a huge impact? They’re talented women who aren’t afraid to leap beyond the norm and are creative enough to think outside the box. Women that are bold enough to inspire tomorrow’s female business owners to not only keep up with the boys, but to do better. These women are making the most of their online and real-world networks, making sure their voices are heard and turning failure into an opportunity to try again and succeed. Whether you're just getting your business off the ground or gathering the means to do so, you can learn a thing or two from these bada*$ women. Sophia Amoruso, CEO and founder of online retailer Nasty Gal, rose from the trenches of eBay to become what Forbes has called “Fashion’s New Phenom.” Thirty-year-old Amoruso achieved all this just five years after leaving eBay. Her online retail shop made just over $100 million in revenue last year and features bold designs and attracts those with a risky fashion sense who have helped elevate Amoruso to cultural icon status. What can women in business learn from her? Change your attitude. As Amoruso states in her book “#GIRLBOSS,” she “stopped feeling like I didn’t belong anywhere, and realized that I actually belonged anywhere I wanted to be.” Forge your own path as a business owner, instead of spending time trying to make your business fit in somewhere. Get out there by getting online. Amoruso has taken full advantage of the opportunities that online media provides to get her brand’s name into the public eye. Social media sites, including Instagram and Facebook, have helped her gain new customers and spread the word about Nasty Gal. You can do the same by creating a strong online presence with social media, blogs and other online resources. Kelly Cutrone is a familiar face to those who watch “Kell on Earth,” which gives viewers an inside look at her PR firm, People’s Revolution. Cutrone’s tough, no-nonsense approach to management helps would-be entrepreneurs get an idea of what it’s like to work with difficult clients, how to run a business on a tight budget and how to manage, not babysit, employees and interns. (In fact, Kelly named a book after her infamous advice for interns -- “If You Have To Cry, Go Outside.”) While Cutrone comes across as harsh and demanding, her management style has proven effective. It’s also helped her keep her PR firm alive and well, even through the recession. Learn to say “no,” especially when dealing with clients who are either hard to please or expect to have their hand held. In fact, Cutrone says “no” to anything that doesn’t fit with her vision for the company or what she thinks is important for its growth, and she’s not afraid to do it. Make your presence known. Cutrone has criticized the fashion industry for trying to keep fashion lines secretive and exclusive while in development, rather than taking advantage of social media and online tools to boost their success. She believes the wave of the future (and present) for business leaders is to let the world know about their brand and products through online videos, social media sites and blogs. Sara Blakely, founder of Spanx, has brought in billions, but she started out with just $5,000 for her startup and a “never give up” attitude. It took Blakely two years to go from her idea for a better fitting undergarment that makes women feel slim in their hip-hugging clothing to having an actual product to sell in stores. Along the way, Blakely heard her share of “no” responses from potential manufacturers, but she finally hit it big and has made Spanx a household name. Aim high, but fail big. Blakely stresses the importance of visualizing a major goal, but also encourages others to step out of their comfort zone and risk failing big in order to eventually succeed. Break the mold. Blakely did this by coming up with an undergarment design that slims women’s bodies to their desired size, but was also much more comfortable for women to wear than the restrictive garments that were on the market. Her success illustrates the importance of thinking outside the box and trying to look at things from a new angle in order to create an innovative product. Above all else, have confidence. As Blakely said in a May 2012 Forbes interview, “If you believe in your idea 100%, don’t let anyone stop you!” That means not accepting “no” as an answer and being determined to make your idea work. Kelsey Ramsden, Kelsey Ramsden Inc.
Just north of the border, Kelsey Ramsden has been blazing pathways for female entrepreneurs in the construction industry. Ramsden, named Canada’s Top Female Entrepreneur twice so far, founded Belvedere Place Development, a construction firm; Tallus Ridge Development, a residential project management company; SparkPlay, a kids’ play kit subscription service; and Kelsey Ramsden Inc., Ramsden’s very own consulting firm. Embrace fear. Move outside your comfort zone in order to challenge yourself, improve and discover new things about yourself and your abilities. Reach out to others. Connect with other entrepreneurs around you and be inspired by them, instead of focusing on the big names that you might not ever meet. Think about the greater good. Focus on ways that your business can help others, rather than focusing on how profitable your business can be for you. 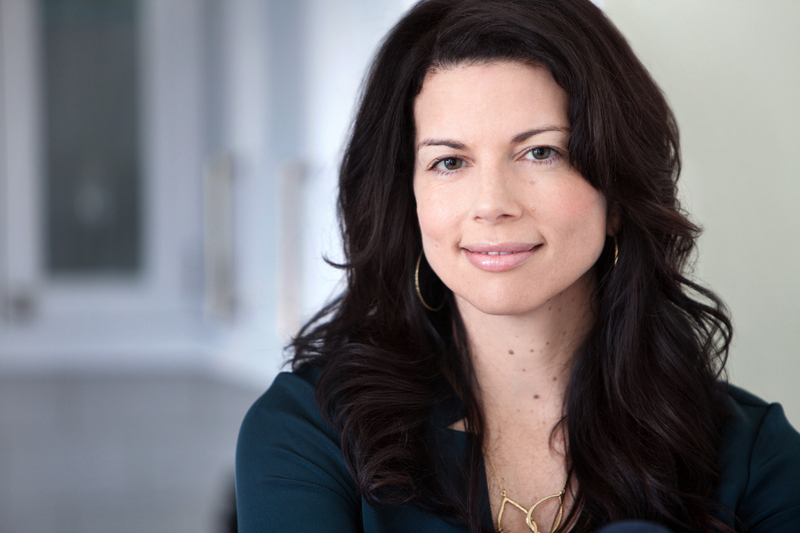 Gina Bianchini’s outside-the-box thinking led to the creation of Mightybell, an online community that offers professionals more than other social media sites. Mightybell lets professionals set up their own social network, host events and meet others who are in their line of work. Bianchini didn’t achieve success with Mightybell the first time around, but that didn’t stop her from trying again. Instead, she’s taken that initial setback and made the most of it. Find others like you. Create a presence online and build a business by focusing on meeting others who share their interests and vision. Have what it takes. A strong sense of resilience and the determination to never quit are two must-have traits for successful women in business. These powerful words of advice from those who have made the most of failure, mastered the fine art of saying "no," built a strong online presence and broken the mold to come up with bold new products and ideas should help you join the growing ranks of successful female entrepreneurs. Who is a successful business women that you really look up to? Did we miss any of your favorites? Let us know in the comments below!